Attorney John E. Horn of the law firm of Horn & Kelley, PC, just won another Social Security Disability case, this one at hearing, step three of the Social Security Disability process. His client was a fifty-five year old Brookfield disability applicant with multiple sclerosis symptoms, right leg muscle tightness and stiffness, unsteadiness, balance problems, difficulty walking, fatigue, bladder and bowel incontinence, weakness of the right lower extremity and use of a cane. We have represented many other Brookfield disability claimants successfully. 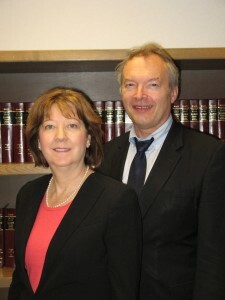 Horn & Kelley are lawyers who represents disability claimants at every level in Chicagoland, Northwest Indiana. Horn & Kelley has offices in Chicago, Tinley Park, and La Grange, Illinois, as well as Highland, Indiana. Their Chicago office serves Southwest Chicago. Their Tinley Park office serves Chicago’s south and southwest suburbs. Their LaGrange office serves Chicago’s west suburbs, including Brookfield disability applicants. Their Highland office serves Northwest Indiana. We have represented more than 5,000 clients in the past twenty-five years. If you are a Brookfield disability applicant, get a free evaluation of your social security disability claim and call Horn & Kelley at 888-921-5297. Horn & Kelley practice law only in the field of Social Security Disability.